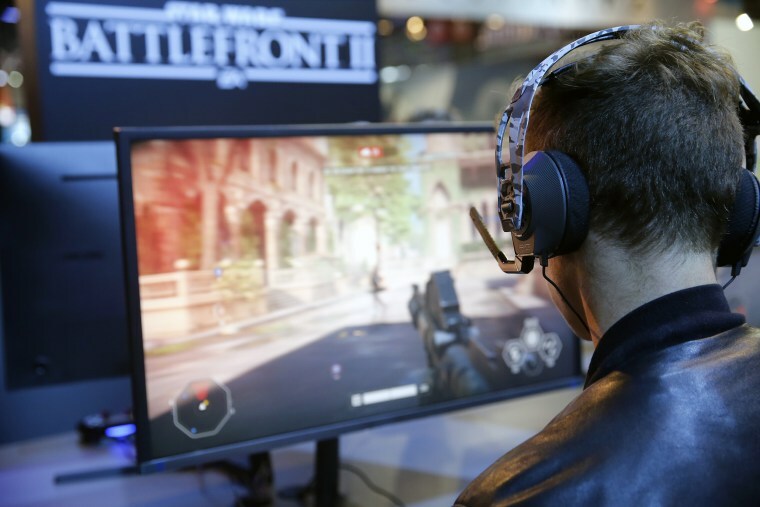 Players of the new video game “Star Wars Battlefront II” were angry to discover last week that they had to buy so-called “loot boxes,” which randomly provide gamers new weapons, armor or content that gives them an edge when playing. Those fees were on top of the $60 players had to spend to buy the game from its creator, Electronic Arts. Now, that consumer backlash is generating a global interest among lawmakers on how companies pursue video game monetization. After players organized and lashed out on Reddit and social media, lawmakers in Hawaii, Belgium, Australia and the U.K. began examining whether games that provide rewards, either through playing the game or through an exchange of money, could constitute gambling. If the game is determined to be gambling, then governments can closely regulate it. “This game is a Star-Wars-themed online casino, designed to lure kids into spending money. It’s a trap,” Hawaiian Democratic State Rep. Chris Lee said this week, echoing a line made famous by the "Star Wars" character Admiral Ackbar. Lee, who is supported by fellow state Rep. Sean Quinlan, is referring to a “Star Wars Battlefront II” system in which players purchase an in-game currency called “crystals” that they can then use to buy “loot boxes.” The items inside the boxes are random and vary in quality, but help make each player’s character better and stronger. These in-game purchases and micro-transactions have been denounced by many people in the gaming community across many platforms, and they carry echoes of consumer worries about the end of net neutrality, as those who can pay the most are afforded the best content. Lee and Quinlan said they have taken the issue to the state attorney general, are pursuing legislation to block companies from using these monetization tactics in Hawaii, and are discussing similar laws with legislators in other states. In a particularly powerful analogy, Quinlan compared “Star Wars Battlefront II” to cigarette advertising that attracted children. Related: Should Washington begin regulating Facebook? Some lawmakers say yes. Belgium and Australia are reviewing their own gambling laws as they pertain to video games, and the U.K. just finished its own thorough review of the subject, deciding that the in-game purchase was not gambling. According to U.K. Gambling Commission Executive Director Tim Miller, who provided the commission’s review of “loot boxes” on Thursday, because the items within the boxes “cannot be cashed out,” the act does not constitute a gambling activity and thus cannot be regulated by them. Miller noted that the commission could only work with the gambling definition provided to him by Parliament, and it was up to the legislature to change that definition. EA announced last week that it would temporarily turn off in-game purchases because of the intensely negative reaction from the gaming community. EA added that it planned to turn in-game purchases back on at a later date once the company made changes to the game.